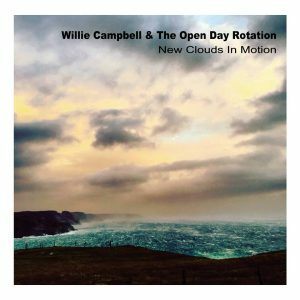 “There’s always a way around The Gospel…”, the chorus from the second track on Isle of Lewis based Scottish singer-songwriter Willie Campbell’s third album with his current creative guise, The Open Day Rotation, ‘New Clouds In Motion’ gives you a sense of what to expect from one of “…the country’s truly great pop songwriters…” (The Herald). A superb collection of pop and gospel infused roots music, this new record sees Campbell’s experiences while immersing himself in the Nashville music row song-writing community seeping into his own creative writing style. There are some beautifully constructed and delivered songs on this feel-good, spirit lifting release, opener Mary Rest Your Head, the aforementioned A Way Around The Gospel and I’ve Got A Kite all take influences from the gospel style and the moving Winter Lake In Spring will literally melt any frozen heart. There are elements of Americana, country and traditional folk all given their special coating of Campbell’s intelligent pop music roots. Born To Be Blind, Going Through The Motions, What Are We Now – the uplifting, emotive tracks just keep on coming. A mature, intelligent and, ultimately, satisfying album that delivers on all levels. 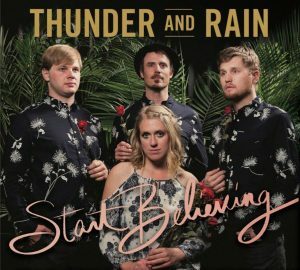 It’s a good job that mandolinist Peter Weber convinced his former busking sidekick, singer/guitarist Erinn Peet-Lukes, to join him in Golden, Colorado otherwise the excellent Thunder And Rain would never have been formed. The driving country rock sound benefits from the duo’s roots in traditional bluegrass and folk and the opening triple salvo of Cut The Wire, Once I Was and title track Start Believing sets down a marker of the excellence to come. It’s difficult to combine the more down to earth elements of acoustic instrumentation more familiar to roots music fans with modern rock and pop but Thunder And Rain have created a sound that seems to have attracted the approval that most new-to-the genre acts can only dream of. The laid back vibes of Babe You’re Gonna Leave Me and Wyoming Is For Miles, the country blues lament of What Am I Gonna Do and the bluegrass brilliance of Tennessee Is Burning all add to this impressive band’s burgeoning reputation. 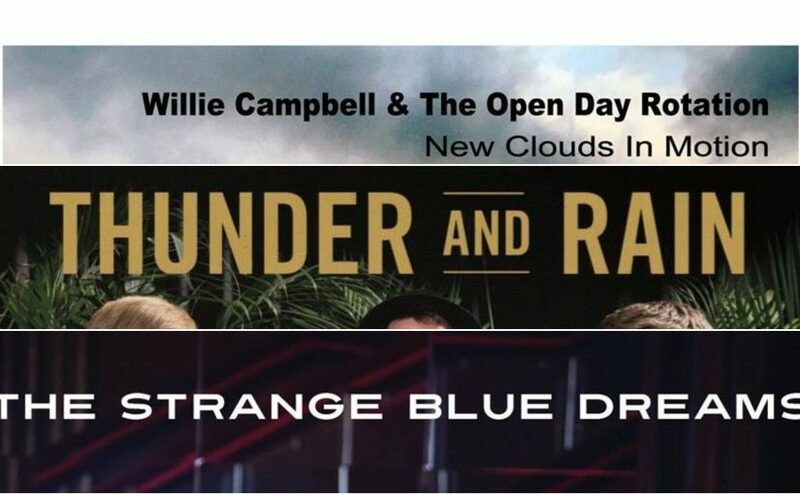 A perfectly created and delivered album of polished and yet emotive songs that deserves to see Thunder And Rain rise to be the cream of the crop. Yep, it really is that strange but in a good way. 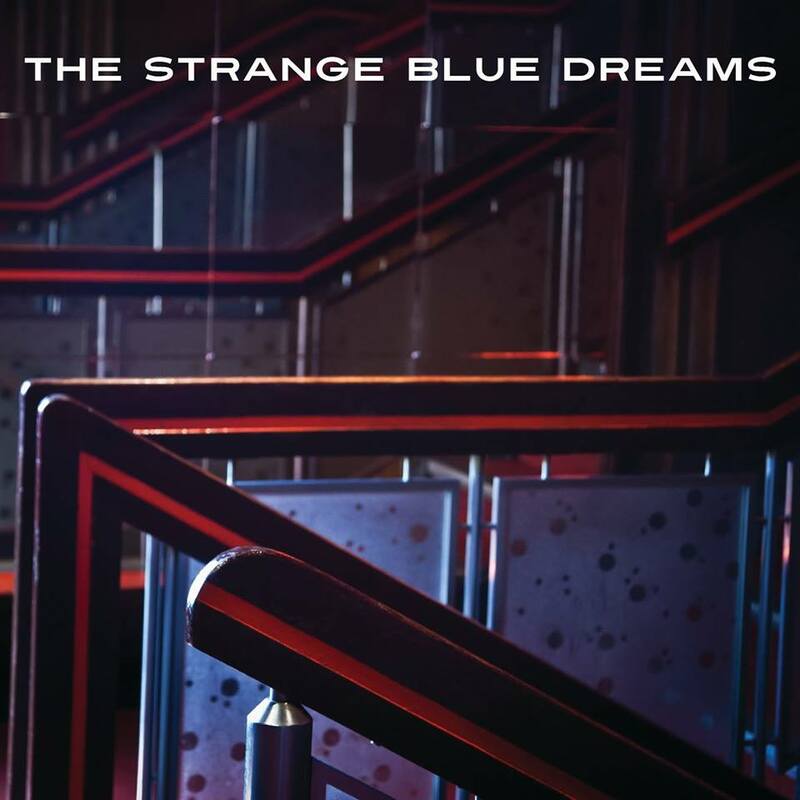 The debut, self-titled, album from Glasgow’s The Strange Blue Dreams is full of nods to Nashville, Spaghetti Western theme tunes (think Ennio Morricone), Roy Orbison, Balkan guitars and even Duke Ellington’s big band sound. To be fair, there is nothing quite like this and there never has been, forging the famous sounds of the 50’s and 60’s, double bass, mandolin, film noir and, yes, Elvis Presley into a unique sound full of immediacy and energy. 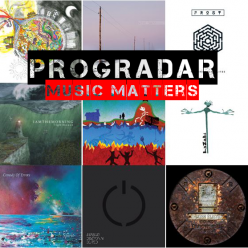 Atmospheric arrangements that create an otherworldly rock n’ roll sound. Highlights? There are many and there isn’t a duff track on the album. 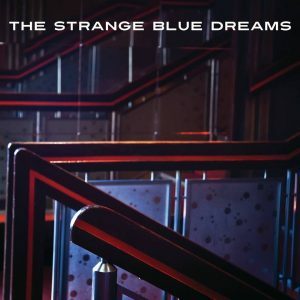 For me Reverberatin’ Love, Electricity, Jungle Drums and (That’s The Place) I’m Falling are just four of the songs that really typify the weird and wonderful world of The Strange Blue Dreams. It’s not very often that you hear something completely different that really blows you away and these impressive musicians won’t appeal to everyone but if you like your R&B and twanging jazz music with a bit of David Lynch thrown in for good measure, trust me, you’ll love this!